Just Been Paid – JSS Tripler is definitely another affiliate based, referral membership program scheme luring in more unlucky newcomers to the work from home field. This one fits the description of a ponzi scheme. The scammers involved in Just Been Paid – JSS Tripler are calling this “business model” a HYIP, which stands for high yield investment programs. But the way these type of HYIPs work is that they let investors earn money for a little while then they turn into scams. HYIPs of this nature have been known to appear as money fraud ponzi schemes. Once an online ponzi scam falls through, the scammers vanish, taking the remaining money minus payouts already made. Then they come up with new schemes to keep the Ponzi con going. The sad thing is that they sucker you by calling them investment opportunities. The terms and conditions Just Been Paid – JSS Tripler wants you to agree on start with having you agree that you haven’t been led to believe that this is an investment, franchise, or employment opportunity. They also tell you that any proposal of how much you can earn with Just Been Paid – JSS Tripler does not represent any promise that you may achieve any income and that any money you risk may be lost. Just Been Paid – JSS Tripler also states that all the money you put towards the company is final and there is a strict no-refund policy, except in special cases. At least you can see that they try and cover their bases. This should help the scammers get richer, but government agencies don’t have enough manpower to investigate for fraud. A ponzi scheme is an investment fraud that involves the payment of alleged returns to existing investors from funds from new investors. Ponzi scheme organizers solicit new investors by promising to invest funds in opportunities claimed to generate high returns with little or no risk. In most ponzi schemes, the scammers bring in new money to make promised payments to earlier-stage investors use this money for personal expenses, instead of engaging in any legitimate investment activities. Just Been Paid – JSS Tripler also charges withdrawal fees, so they take your money, and then CHARGE you a fee to get back 2% of it. Wonders never cease. Ask yourself and any business you’re investing in if there is a product they are selling, and if that product is retail marketed to anyone besides members? 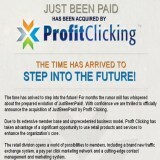 Is it advertising passive income? If it does, it is an investment and must be licensed and registered in many jurisdictions. If there is no income aside from sales of positions to members, so Just Been Paid – JSS Tripler is very much a ponzi scheme. Ask if the company has a verifiable physical location and if not it’s most likely an illegal money game. They do claim that Just Been Paid – JSS Tripler operates in accordance with United States Patent 6,578,010 and assert the company is legal and has actual products and services. I could not find any products in Just Been Paid – JSS Tripler, only “investment” ventures that amount to robbing Peter to pay Paul – and eventually you become Peter. High Yield Investment Programs are not indefinitely sustainable, as this one claims to be, because they depend on their “investors” recruiting more new ones. In Ponzi schemes, the money from new members is used to pay existing members and the scheme collapses when new members are no longer coming in and people who are heavily invested cash out. Just Been Paid – JSS Tripler claims they will roll out an advertising services program. If it is legitimate, it would let investors venturing into the company itself to get paid a daily 2% for simply surfing the websites of other members. The advertising is what new investors see to buy into the program. There are plenty of risk takers who play with these illegal ponzi rackets. I do not recommend the novice or entry level person get involved with this type of “investment opportunity” offered by Just Been Paid – JSS Tripler.